It began in the 60’s with one woman inviting her friends to her home once a week to talk about how to best lose weight. Today, Weight Watchers has helped educate, support and transform millions of people’s lives all over the world. The challenge: To update the existing signup process to be responsive, ADA compliant and follow the new look and feel that was being worked on by various outside agencies. My role & approach: First we needed to educate outside agencies on how to approach ADA compliance from the design and development aspect. My team and I created ADA training sessions that we used to educate other teams in the company. Here’s a fun video we created as our intro to lighten up the mood and make a topic that had been deemed boring, unexpectedly delightful YouTube (54 seconds). At the time, the organization was shifting its methodology to building products. Our biggest challenge was our internal systems' current capabilities. During this shift we were split into smaller teams with specific focuses—mine being tasked with making the signup process more seamless. I worked with developers to create quick, responsive prototypes to test with new and existing users, so that we could iterate based on their feedback. 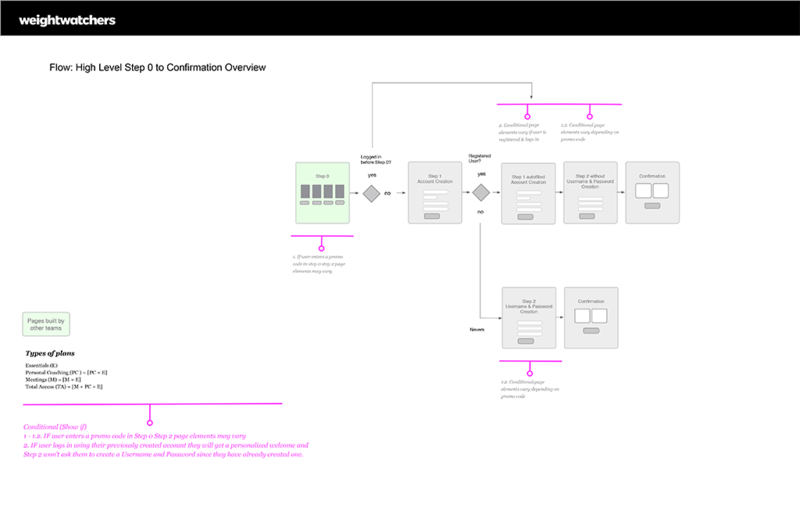 At the same time, we worked with engineers to get the builds into our CMS—all while using a mashup waterfall/agile methodology, since our system couldn’t fully support agile. There was a lot of trial and error with this process, but it was extremely helpful in understanding how to work better as a team. 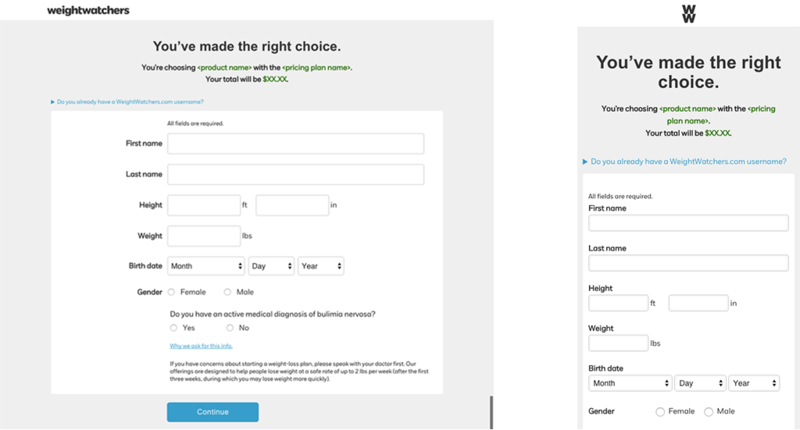 The impact: After going live, we saw a significant boost in our conversions from users who landed in signup. This was the key performance indicator we were looking for. 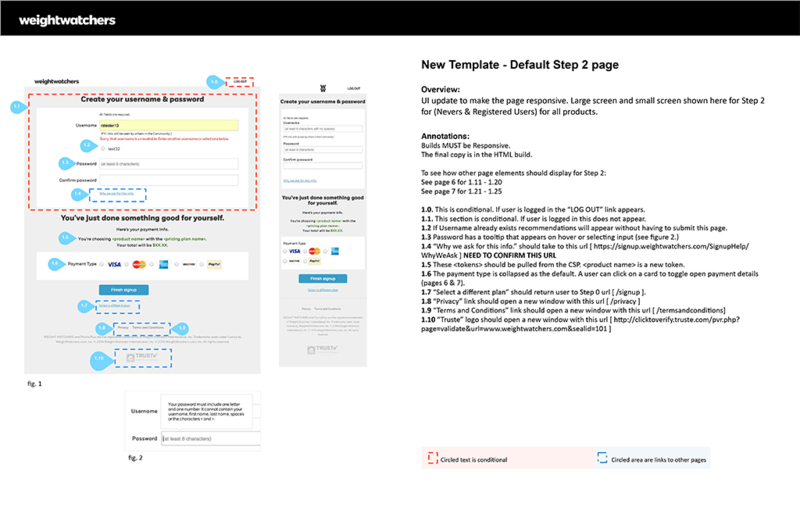 Image Caption: Wireframe documenation for responsive signup. 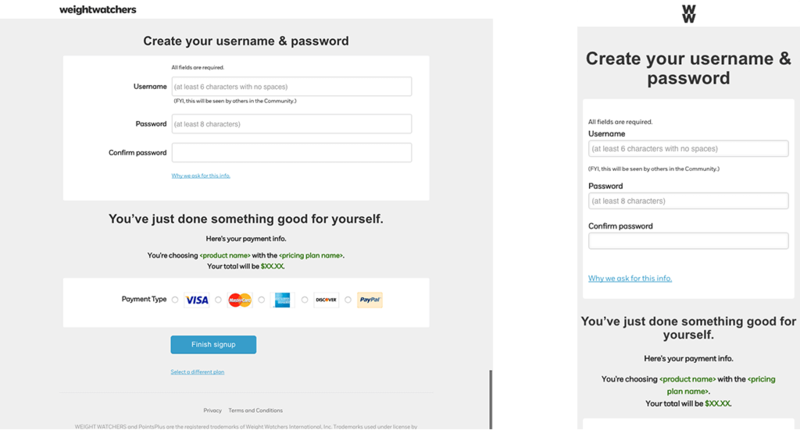 Image Caption: HTML builds for large and small screens for responsive signup.